Give Your Dog A Bone! A Vegan Bone! All Natural Peanut Butter is the main ingredient of these delicious treats. Peanut Butter is not only tasty, but it is rich in protein and vitamins essential for your dog's health. 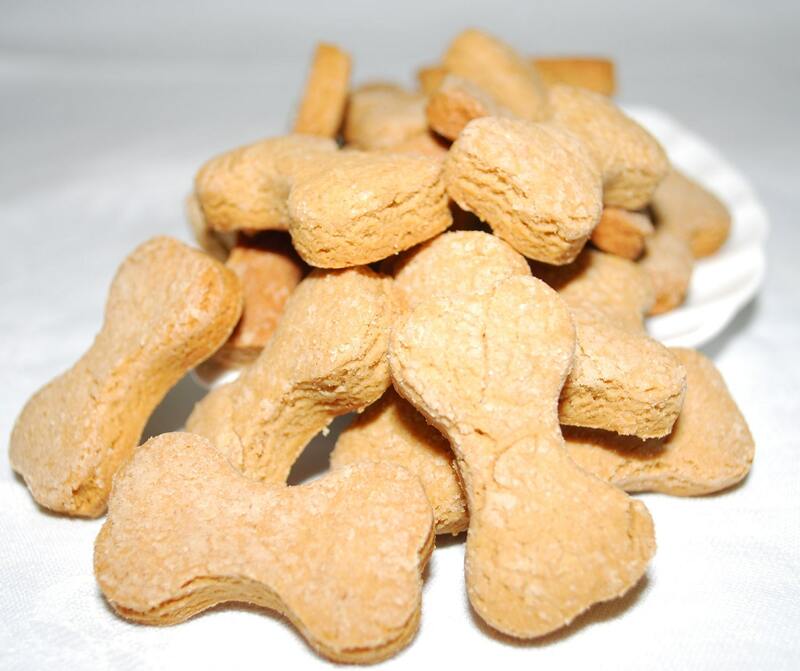 These cookies are ideal for dogs with sensitive teeth and will melt in your pup's mouth! Organic Oat Flour, All Natural Peanut Butter, Home Made Aluminum Free Baking Powder.